This is how I ended with this two gorgeous shades; Role Play and Black Metal Dahlia (both with metallic finish). I choose metallic finishes as those were the ones that were perhaps less conventional and I really wanted to try. Role Play is a very vibrant red with a metallic finish. What I love is that, similarly to MAC’s Viva Glam Riri, it is a warm toned red with red pearl. It immediately draws attention and gives light to your face. Black Metal Dahlia is a gorgeous burgundy red with red pearl. It is absolutely stunning in the tube, however, and perhaps due to the amount of glitter in it, it can apply a bit patchy on the lips (you can sense it from the swatch below). It truly is a shame as it is a stunning shade. 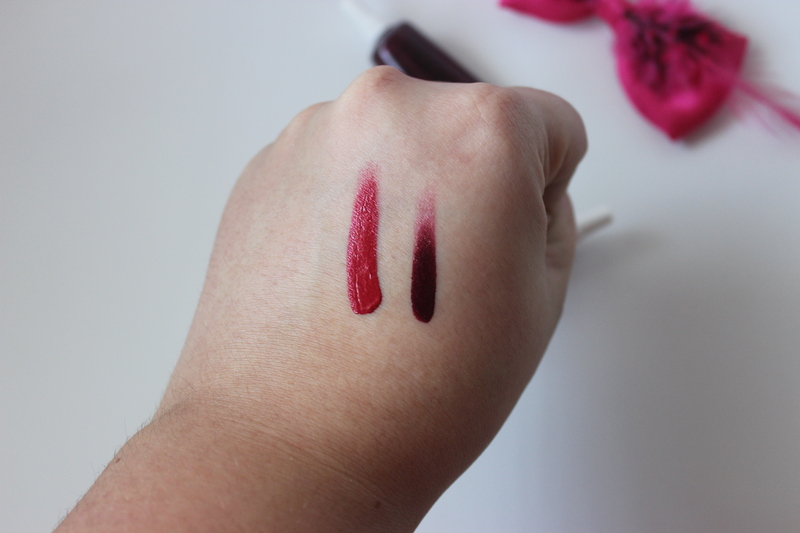 What I loved about the lip tars is that the tube contains a generous 10 mL and as you can see in the swatches above a little really goes a long way. I am really looking forward to enjoying many an application out of those 10 mL. Also, I find it very convenient that the tubes come in little plastic bags and with their own brush. It is very handy if you want to carry them in your purse and reapply them! All in all, really nice product, can’t wait to try more of them! Next > Kiko rewards program: you need this app! I bought a set of 5 lip tars about a year ago. 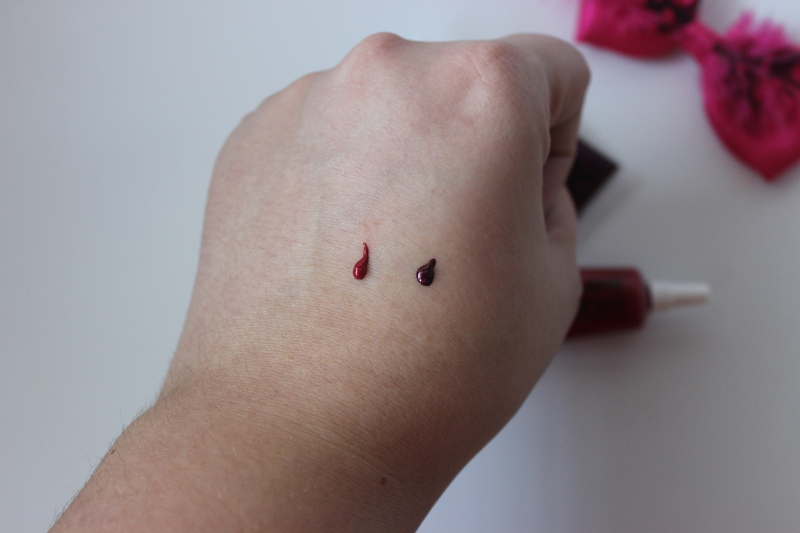 I ended up truly loving the shade Vintage from the set, which is the perfect classic red shade. I don’t think I’ll ever buy more, though. They don’t last well–they separate and it’s really hard to shake or mix them back together, and it’s just too hard to get through an entire tube of these–especially if they separate within a year. The shades you’ve picked out are absolutely beautiful, though. I’ve had my eye on Black Dahlia and the Metallic Black Dahlia for quite some time now, but I’ve always convinced myself to pass because I doubt that I’d use it more than a few times in the course of a year, and then I’m afraid they’d separate on me during that time. Oh no! I didn’t know that their shelf life was that short. I guess that I will just have to use them the most I can! Thanks for letting me know! Hopefully this won’t be the case for you!